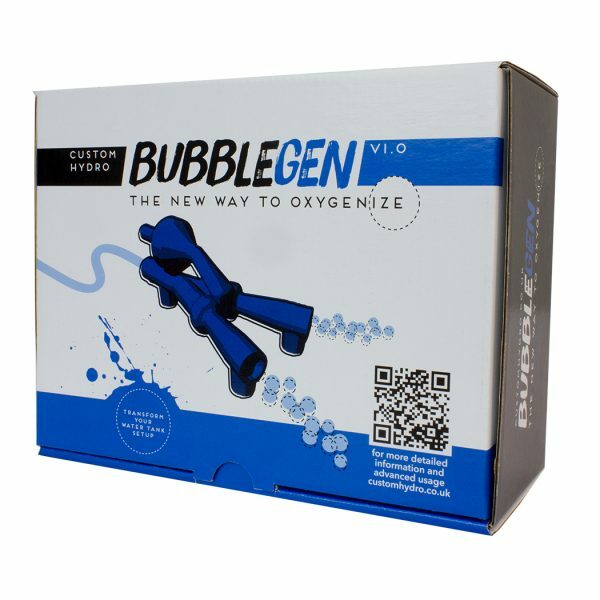 The BubbleGen V1.0 is a twin jet hydroponic bubble generator. 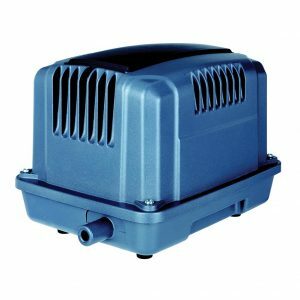 With an integral silencer, it efficiently and quietly oxygenates and circulates a nutrient tank. 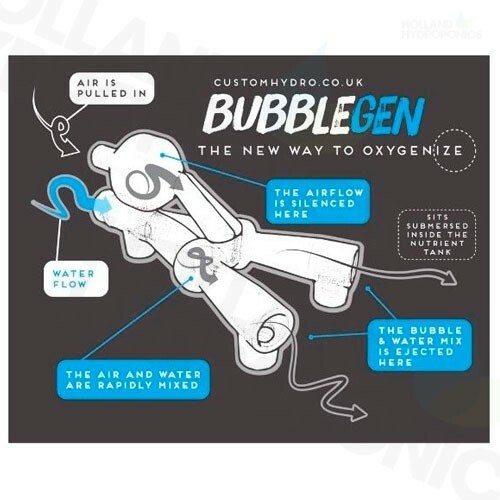 The BubbleGen completely replaces the need for additional circulation pumps, air pumps or air stones as atmospheric pressure is used to pull oxygen-rich air through the input port. This mixes with the nutrients passing through the body of the unit, ejecting a circulating stream of nutrient and bubbles. 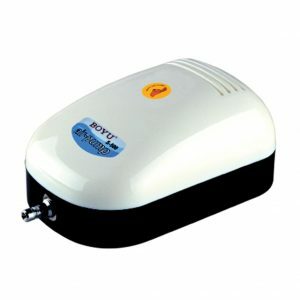 This also lowers the chance of blockages and stops bacteria from being harboured, as can happen when using air stones. 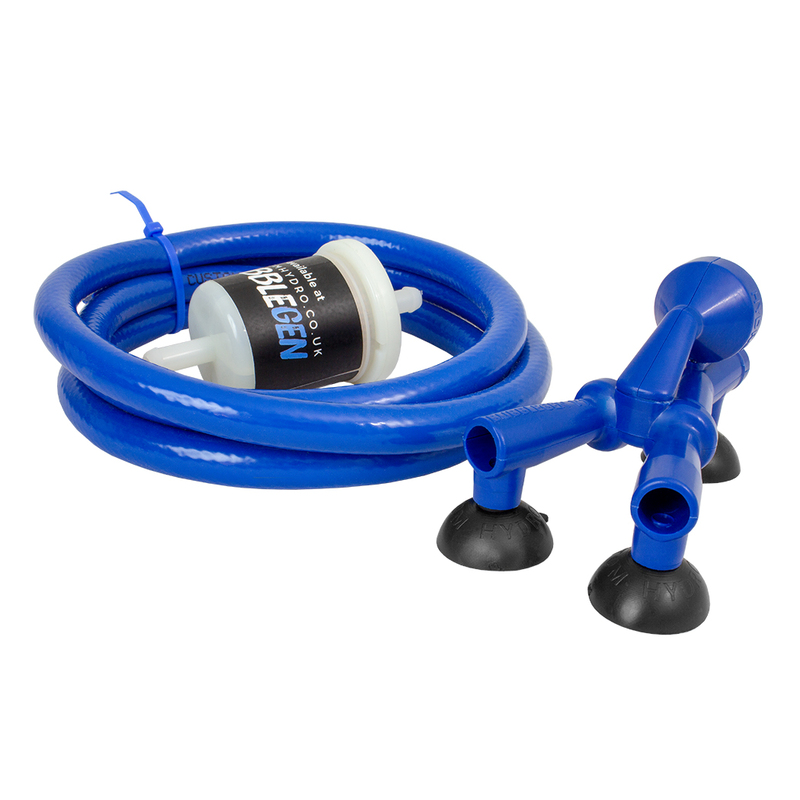 The BubbleGen can be used within every growing style. 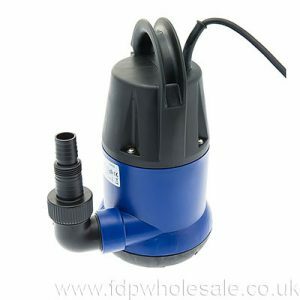 All you need is a tank and a single water pump that is rated between 1000LPH to 4000LPH. 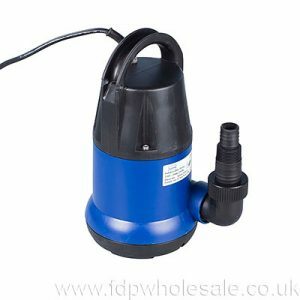 You can also run multiple BubbleGens from one large pump with additional pipe and tee connectors.